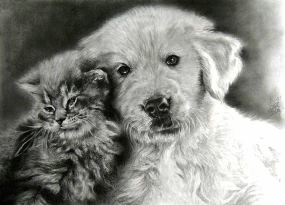 My name is Agi Dulanyi,you can find me on facebook Agi Art's is my page. 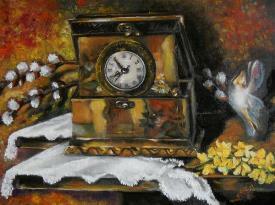 The first picture is oil on canvas 35x25 Spring. 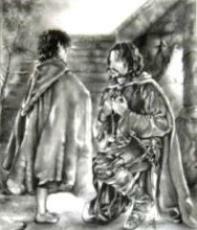 The second one is a pencil drawing 38x30 - Friends, and the third one is pencil drawing, 30x25 Aragorn and Frodo. © Agi Dulanyi. Used by permission.